Escalation tension in Syria sparked a flight out of Middle East stock markets Tuesday. Dubai's stock market plunged more than 7%. But even with the sell-off, iot market remain up an impressive 60% this year, making it one of the world's best performing stock markets. Stocks in the Middle East fell sharply Tuesday, as the threat of a U.S. military strike against Syria rattled investors. But the region still is home to several of the top performing markets this year. 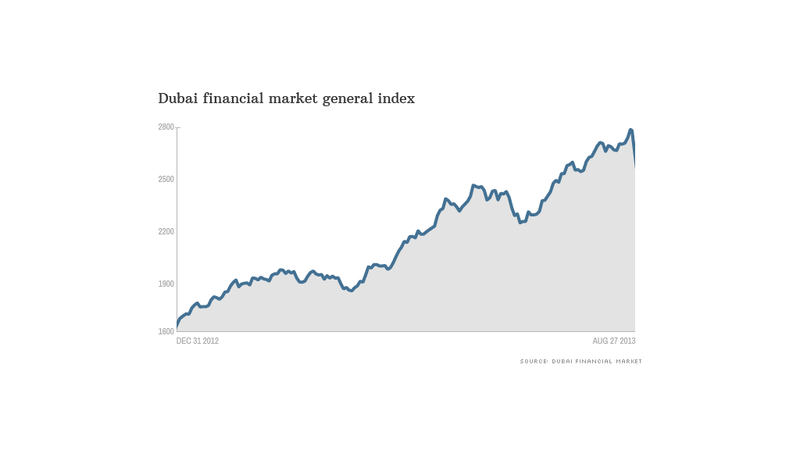 The Dubai Financial Market's general index is up an impressive 60% this year -- and that includes a 7% plunge Tuesday. Abu Dhabi's market has climbed almost 50%, while Kuwait's stock are up 30%. Markets in Oman and Qatar are up nearly 20%. Indexes in those countries all sank as well on the Syria concerns, but not as dramatically as in Dubai. Investors have been attracted to these countries because their economies are growing at a healthy pace, bucking the trend in emerging markets like India, China and Russia, where growth is stalling. The key difference is that the Middle East economies have insulated themselves from sluggish global growth. For example, Dubai and Abu Dhabi are benefiting from a rebound in local real estate markets, which is luring in foreign investors. Kuwait is getting a boost from strong corporate earnings and the government's plans to invest in infrastructure. But some worry that the stock markets in the Middle East may have peaked. The possibility of a strike on Syria is the "biggest threat to the geopolitical landscape and global markets since the outbreak of the Arab Spring in January 2011," said Ashraf Laidi, City Index's chief global strategist. In addition to uncertainty over what action the United States will take, Laidi said that "the most dangerous unknown" is the reaction of Syria's ally Iran, which warned that a strike would result in conflict that would engulf the entire Middle East. The entire Gulf region has attracted significant investments from foreign investors in recent years. 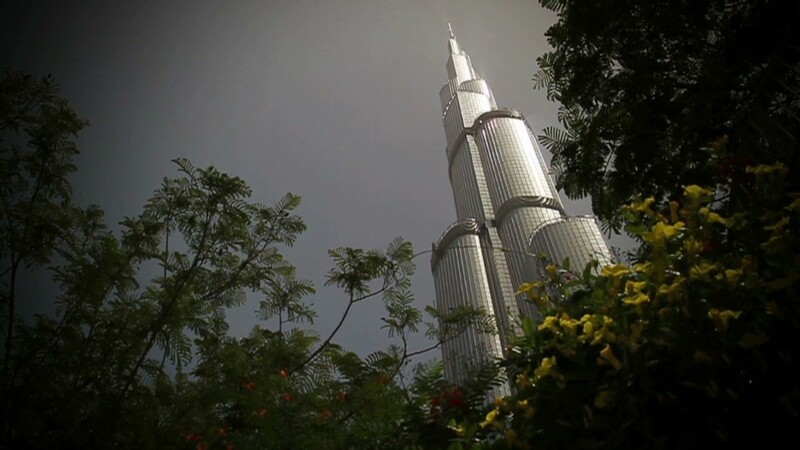 But Dubai has done better than most other markets in the Middle East. Mohannad Aama, chief investment officer of Beam Capital Management, said investors may now be booking profits in Dubai and are fleeing due to the increased instability. Meanwhile, local investors who borrowed money from brokers to invest in the Dubai market are being forced to sell to meet margin requirements, said Ali Adou, portfolio manager at The National Investor in Dubai. Although an attack in Syria and increased conflict in the Middle East will weigh on the region's financial markets, Adou said that the economic fundamentals otherwise remain strong. He argues that the markets there remain undervalued, particularly in Dubai, Saudi Arabia and Qatar. Investors will likely remain cautious and shift into a "wait-and-see" mode until there is more clarity, Adou said. But ultimately, the recent drops could wind up giving investors a reason to jump back into the Middle East markets at lower prices.